A dental implant mimics the function of a tooth root. It is a small titanium screw which is inserted into the jaw bone. Titanium is the only metal which the body does not generally reject. It takes about 6- 12 weeks for the jaw to heal and integrate the implant firmly into place. 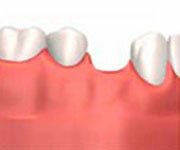 Thereafter, the tooth replacement, in the form of a crown, bridge or denture is secured by the implant. Conventional removable full dentures attach to the jaw with a type of suction effect. Because there is no stimulation of the bone, it may deteriorate over time. As the bone recedes, the dentures may no longer fit properly. Ill-fitting dentures can be painful and cause problems with eating, speaking, and aesthetics. With implant-supported dentures, the inconveniences of ill-fitting conventional dentures and the need for adhesives are eliminated. The implant provides a stable foundation for the removable denture while helping preserve the jawbone. The denture is attached to an anchorage and can be easily removed for cleaning and then snapped back firmly into place. Dental implants are by far the most preferred and recommended choice for tooth replacements by dentists. This is due to the many problems that arise, in function and appearance, of traditional replacement procedures (namely dentures, crowns, bridges and partials). Below is a brief description of the three stages a dentist undertakes to insert a dental implant. The dentist begins the procedure by way of comprehensive examination of the patients X-ray or dental model. 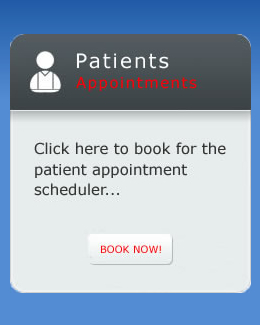 From here, the best treatment plan for the patients individual situation can be formulated. Once the initial planning is complete, the implant, in the form of a titanium screw, is inserted into the jaw bone. Most often, this can be done under local anesthetic in the dental office. This is then left for about 6 weeks to heal firmly into the bone. After the implant is healed and firmly in place, it is now a suitable foundation to attach the replacement tooth. Once complete, the tooth can then be fully functional.